Official Adidas product which is brand new with tags. 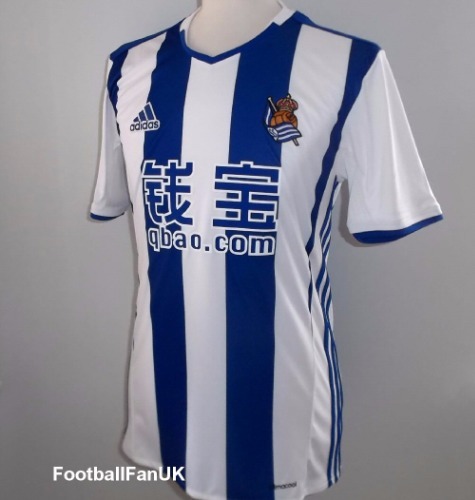 This is the Real Sociedad home shirt for the 2016-2017 La Liga season. - Woven Basque flag at back of neck. - La Liga sleeve patch. - Adult size XL. Chest 47", length 31".